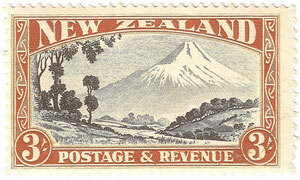 3/- Mt.Egmont - New Zealand Stamps, A 1935 Pictorial overview. 3/- Mt. 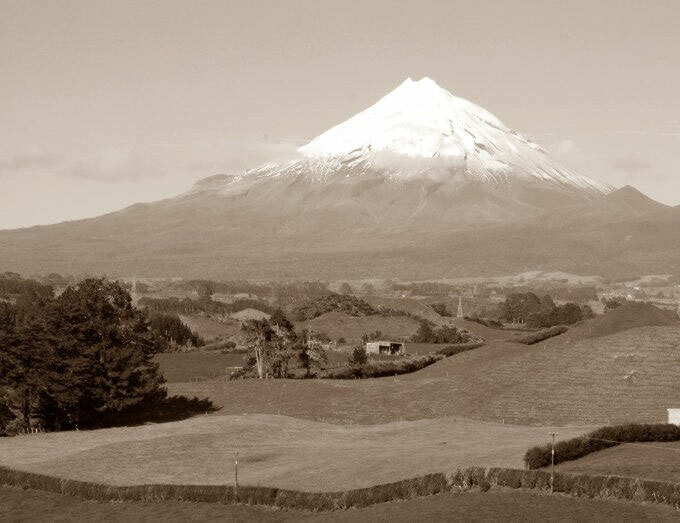 Egmont, later known as Mt. 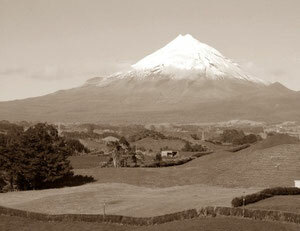 Taranaki, which translates as "barren mountain", This beautiful symmetrical cone rises 2518 metres. 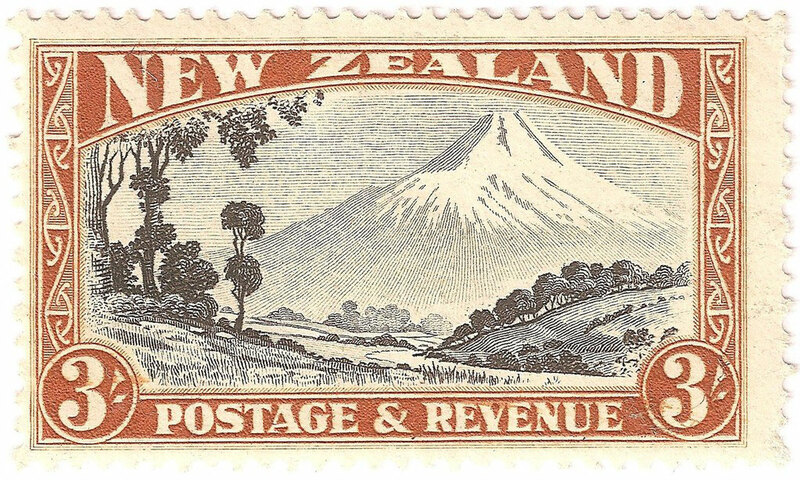 Design by L.C Mitchell.